I (optimistically) thought that there would be a temporary lull in work activity from July to August, but I was wrong. It turns out my schedule is as packed as it was before but with different types of activities. However, one of the best things about my work location is it operates on summer hours for the second part of July and most of August. Summer hours means that the office closes earlier in the afternoons, and is closed on all day Fridays. So my current plan is to work efficiently Monday-Thursdays from early in the mornings until 4:00, and then try to take a break from work-related activities on Fridays. This Friday, I decided that I would bake~ and since my apartment’s temperature breaks 30C by 10:00 am, I try to do anything that involves turning on the oven early in the morning. 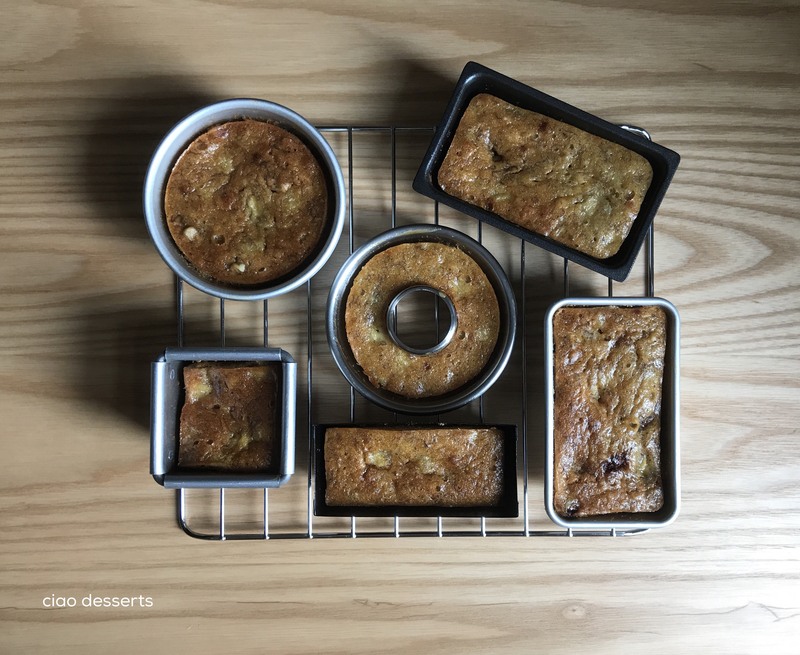 Bananas are really bountiful in Taiwan this time of year~ at really good prices, so I decided to take advantage of the situation and bake banana bread. I tried a new recipe this time, which involves using brown butter (also known as beurre noisette). Brown butter is made by melting butter slowly over medium heat. Once the butter begins to melt, it will foam, and the color will change from a sunny to golden yellow, until finally a toasty brown. 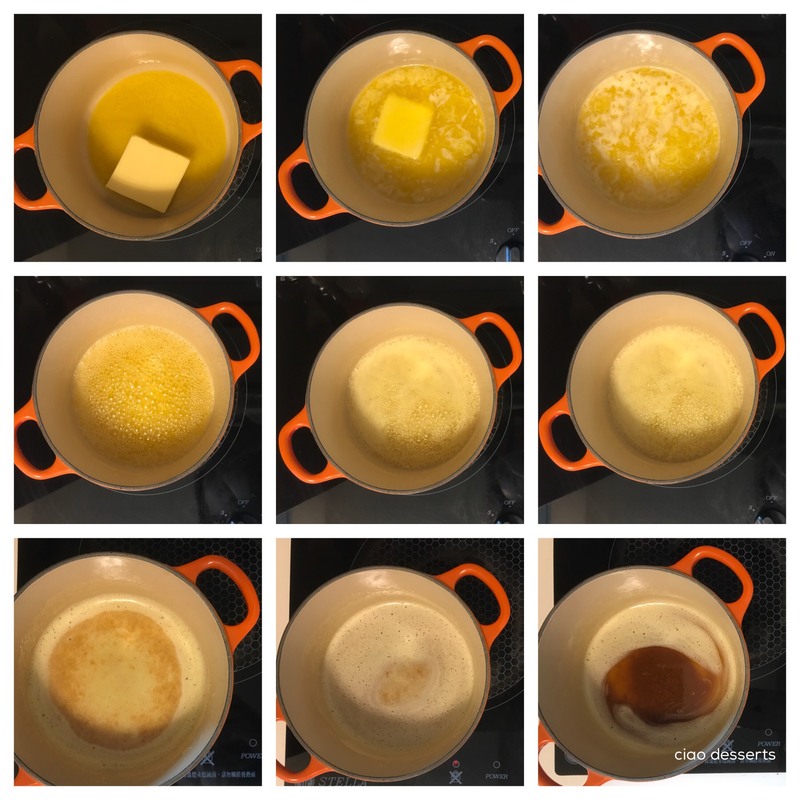 (Note, I found it better to use a light bottomed pan to brown butter, because then you can easily observe the color changes~ also the butter will become very foamy~ make sure you push aside the foam with a spoon to check the color of the butter underneath!) Once you start to smell a slightly nutty, caramel-ly aroma, remove the pot from the stove and pour the butter into a bowl to cool. The other ingredients are pretty basic~ in addition to the butter, there are mashed banana, yogurt, sugar, eggs, and your add-ins of choice. This time, I chose to add in walnuts and then threw in some candied orange peel, which were leftover from a different cooking experiment at the last minute. (Ingredients not shown: vanilla extract, baking soda and the candied orange peel). I liked this particular recipe because it uses yogurt~I find that yogurt can add a hint of tang to the cake, and another added bonus is that it can also be used as a substitute for baking powder. Just for fun, I decided to bake the batter in a few of the mini pans from my ever-growing collection. Of course, you can use a standard loaf pan, or muffin tins. *As previously mentioned, buttermilk is hard to come by in Taiwan, so I just added increased the yogurt by 1/3 cup, thinned with a little water. You can also make your own buttermilk with milk, vinegar or lemon juice. Simple instructions can be found here. Preheat oven to 325 degrees Fahrenheit/ or 162 Celsius and grease your baking pans of choice. In a small sauce pan, melt butter. Once melted, continue to cook at a gentle boil, stirring occasionally, until butter is no longer yellow and is the color is a toasty. Remove from heat and transfer to a large mixing bowl along with mashed banana, Greek yogurt (or sour cream), sugar, eggs, buttermilk, and vanilla. Mix well. Pour batter into your prepared baking pan(s). Bake until an inserted toothpick in the middle comes out clean (a few loose crumbs are okay but no wet batter). Baking time will depend on the size of your pan(s). The pans I used took about 35-40 minutes. Cool for at least 10-15 minutes. Slice and serve immediately. They can also be stored in an airtight container at room temperature for up to 5 days. 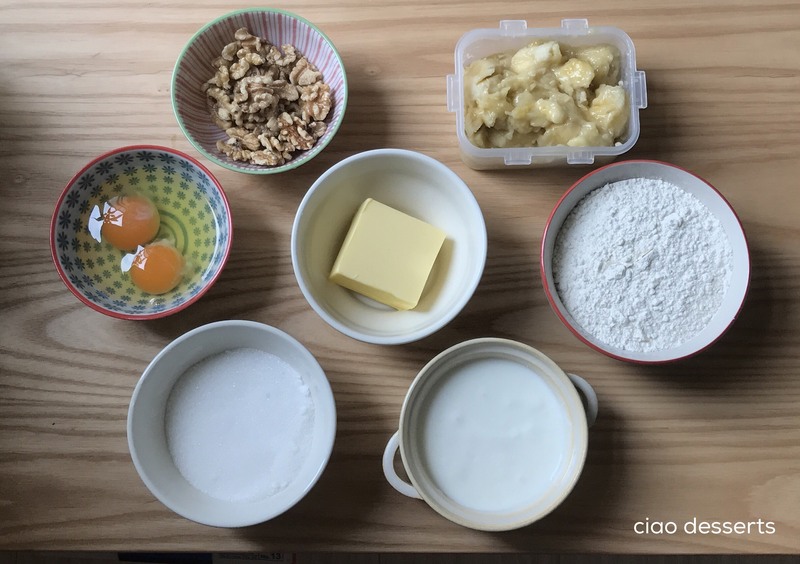 This entry was posted in Uncategorized and tagged banana bread, bread, brown butter, Taiwan fruit, yogurt. Bookmark the permalink.